Amsterdam has appointed a Junior Bicycle Mayor to help encourage and inspire more children across the Dutch capital to cycle every day. Eight-year-old Lotta Crok will be working closely with the (senior) Bicycle Mayor of the city and supported by a Council of other juniors. It is planned the concept will now be implemented in other cities around the world. Lotta was selected from a group of 27 children already named as Fietshelden (Bicycle Heroes) in each of their junior schools because of their ideas for improving cycling opportunities around their schools. 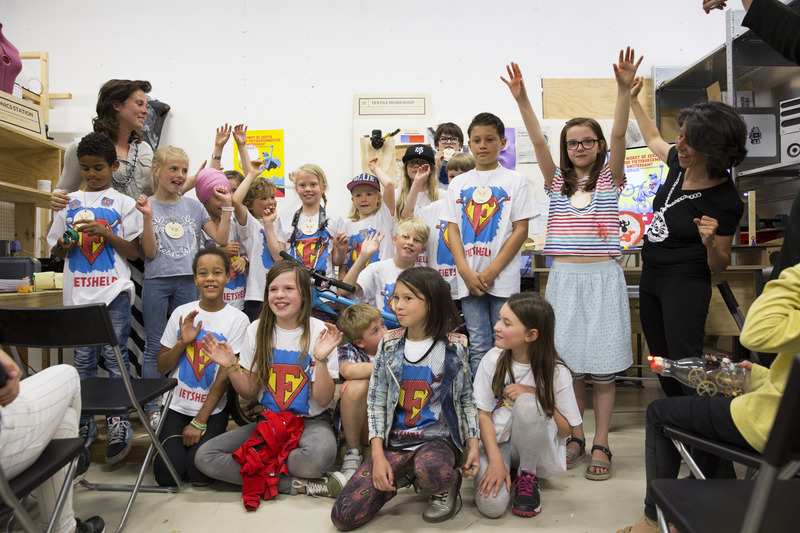 To find the Mayor amongst them, the mini heroes were all invited to take part in a design competition at Amsterdam’s Makerversity to show off their concepts for how to improve cycling for children across the whole city. 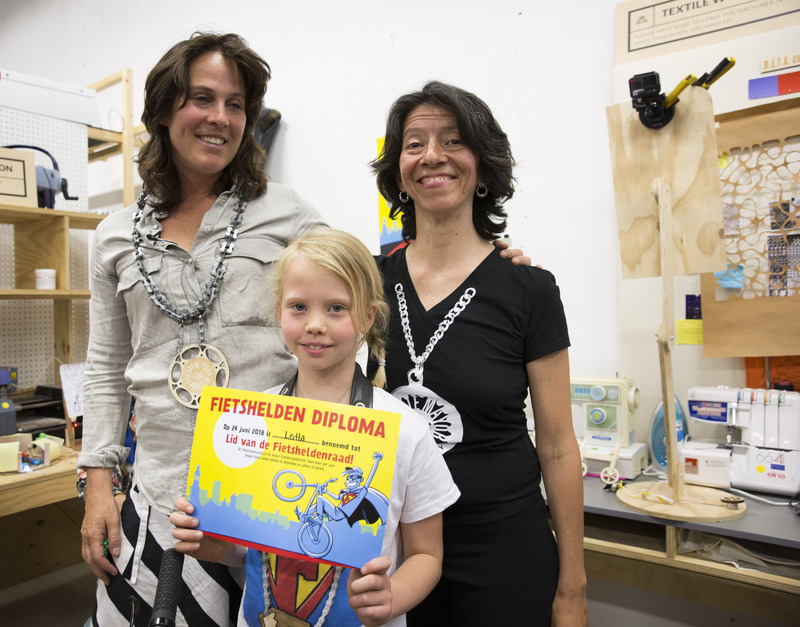 Lotta, who attends the Dr. Rijk Kramerschool in Amsterdam-West, won with her ideas for a public transport bicycle that accommodates children and a special public transport tandem bicycle. In this way, she hopes to improve access to cycling for kids and to improve safety for those that currently catch lifts on the back of friends’ or parents’ bikes. Amsterdam already has a leading bike hire scheme provided by the public transport authority, that connects with other forms of transport, but there are limited provisions for children. The Fietshelden and Junior Bicycle Mayor concepts were first developed by Amsterdam Bicycle Mayor Katelijne Boerma as part of her election campaign last year. She said she wanted all children to be able to cycle through the city safely and enjoyably. "It was a super exciting competition. We heard so many good plans from the Fietshelden, and in the coming period we are going to realize a whole lot of them. With Lotta and the other children in our Council, we’re going to do a lot of transportive, exciting things. And of course we want to visit the new city Alderman for transport soon to share all the ideas, and we want to meet with the public transport body NS to help realize Lotta's vision." The winner of the design competition at Makerversity was determined by a five-member jury. 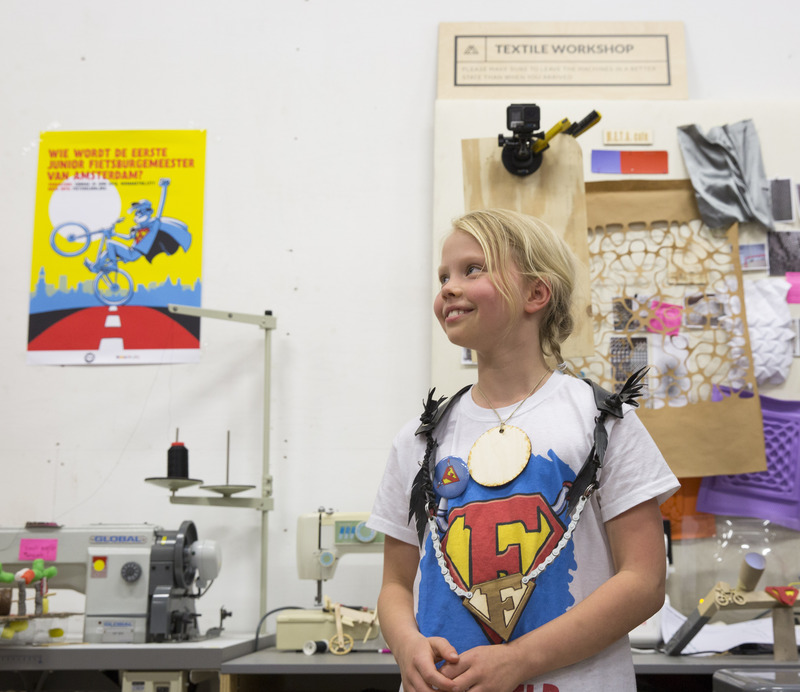 Lotta may call herself the first Junior Bicycle Mayor of Amsterdam and of the world. The Bicycle Mayor of Mexico City, Areli Carréon, who was also in the jury, now takes the idea back to Mexico. For this project the Amsterdam Bicycle Mayor worked together with BYCS, the City of Amsterdam, Vervoerregio Amsterdam, WorkCycles, Designathon Works, Makerversity and Verkeersplein Amsterdam. BYCS is the initiator and international convening organization powering the Bicycle Mayor network. What started with one Mayor in Amsterdam in 2016 is now active in major cities on every continent. Each Mayor acts as an independent catalyst for change, developing concepts to accelerate cycling progress, and uniting all city stakeholders to make these plans a reality.